A report from Rashmi Bhargava, Award Leader, M.G.D Girls' School, Jaipur, on the Bronze and Silver Adventurous Journey. 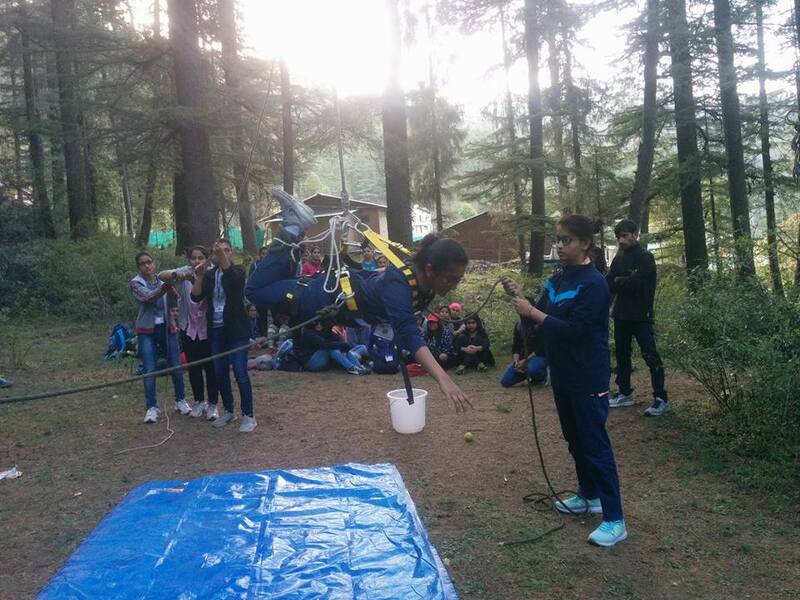 Bronze and Silver Award participants from Maharani Gayatri Devi Girls’ School, Jaipur undertook an Adventurous Journey to Mashobra Hills, Shimla from 11th to 16th April 2017. 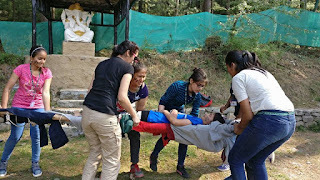 Though they had been briefed about the Journey during a preliminary training session, had understood the importance of safety and use of different equipment, the process of pitching tents, use of different types of rope knots, first aid and navigation techniques, the actual Adventurous Journey proved to be a personality changing experience for each one of them. When they reached Mashobra, they were divided into four groups and the instructors appealed to their competitive and leadership instinct right from the very beginning. "Each time, on time" was a clearly communicated motto. Each member of each team had to report right on time. 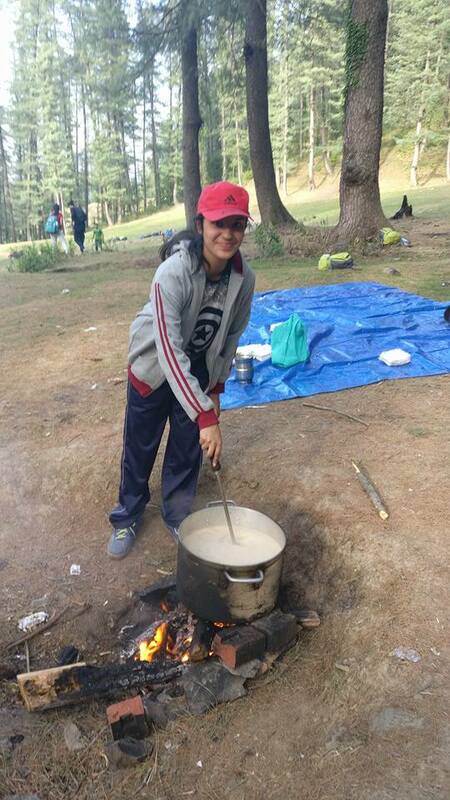 There was always an ongoing competition between all teams regarding punctuality, keeping the tents clean, serving and eating meals in a disciplined and cordial manner, putting shoes and utensils in place... in short, in an effort to score over other teams, participants tried to imbibe the right values till it became a habit with them. The day’s activities -- exercises, treks, adventurous games, leadership games, rappelling, zip-lining, etc., were organised in such a way that besides being challenging and entertaining, each team was back in time for hot, sumptuous meals and clean washrooms, full of enthusiastic anticipation for the next fun-filled activity! Participants and teachers both marvelled at the level of excellence in planning and execution of camp activities. Digital detoxication was another wonder! The participants had no access to smartphones, television and other gadgets that have become an inseparable part of their lives, and they did not miss them. It was back to basics. With a clear star-lit sky, a bonfire in the centre and fellow participants around it, each narrating her experiences of the day, scaring others with ghost stories and imaginary incidents of the night trek, playing antakshari, celebrating birthdays and friendships, they enjoyed the human interaction which has been lost in the digital world. It was amazing to see that even asthmatic participants undertook long treks, rappelling and zip-lining sessions, without difficulty. The air was truly invigorating! Leadership games and cooking a meal after an uphill 14-km trek, saw the best of volunteering, taking responsibility and delegating it to fellow team-mates, recognition of individual talent and excellent coordination among participants even in such a short span of time! 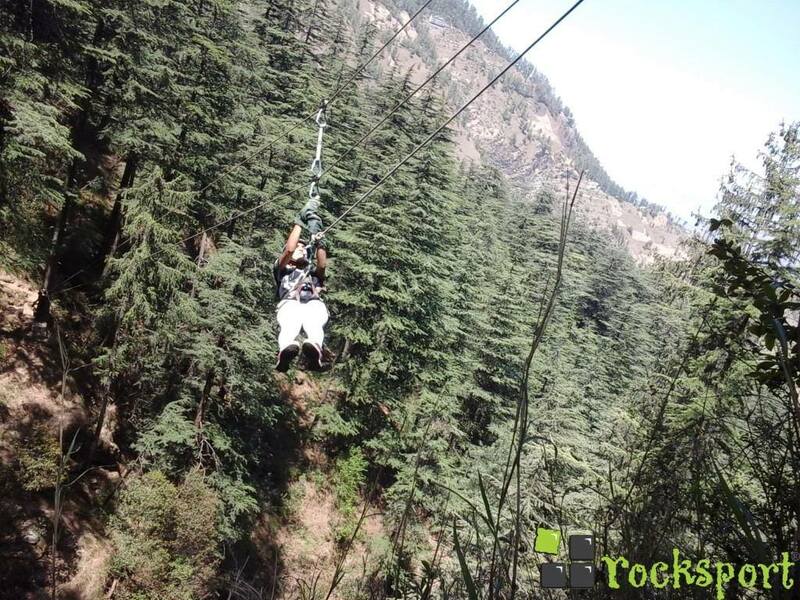 The perfect weather and the scenic surroundings of Mashobra became secondary to the admirable transformation in these youngsters who came to realise their own potential after going on the IAYP Adventurous Journey. It is always going to be a memorable experience for all.